Bajirao Singham (Ajay Devgn) is a police sub- inspector who hails from a small town of Shivgad in Maharashtra. He fights against corruption with the valor of lion. When Kavya (Kaajal Aggarwal) comes to Shivgad, from Goa to visit her grandparents on a vacation she is charmed by Bajirao's bold and courageous demeanor. 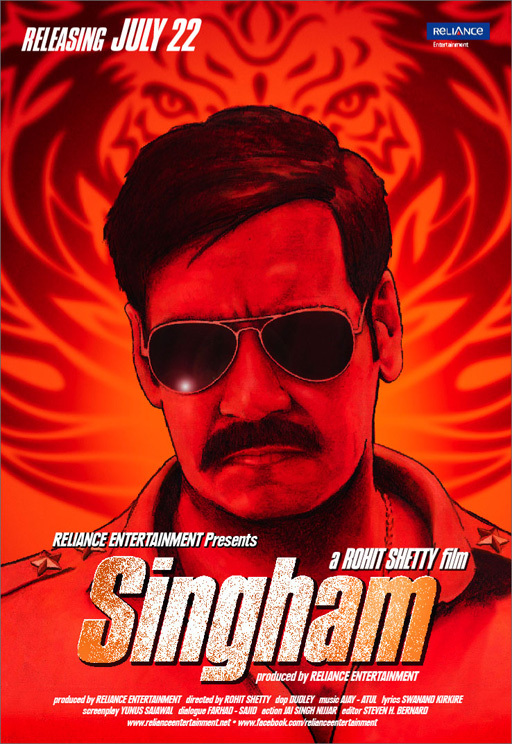 Everything goes well for Singham until there is a clash with a goon that eventually escalates into a full blown fight. Singham eventually gets promoted & is transferred to Goa which also happens to be the operational hub of the goon. While this move brings Singham closer to Kavya, it also brings him in the clutches of the very same goon who is on a mission to destroy him. How Singham rises to the challenge to expose this crook and put an end to his malicious activities forms the rest of the story.